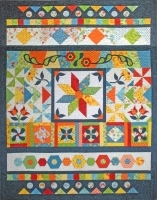 Here at QuiltWoman.com, we love to highlight quilting trends and show you fun patterns that incorporate those trends. One of the strongest trends we continue to see everywhere…. All Kinds of Hexagons. Even if you slept through grade school geometry class, you probably still know what a Hexagon is. It is a figure with six straight sides and angles. According to Ask.com. 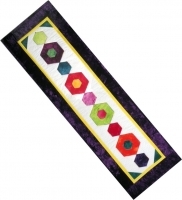 Quilters have been infatuated with hexagons for hundreds of years. The earliest dated hexagon template goes all the way back to 1770 England. By the 1830’s hexagons were one of the most popular quilting patterns around. With Elenanor Burns’ Honeycomb quilt pattern, the “buzz” is all about no pivoting, no pinning and no inset seams! The “sting” is taken out with just straight sewing! There are three quilt sizes and a colorful table runner. Don’t want to cut Hexsies yourself? 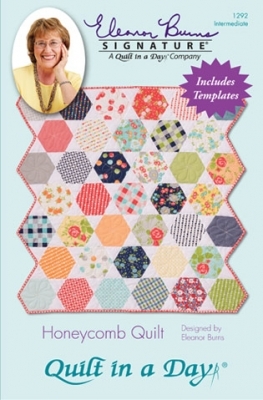 Directions are included for using pre-cut Hexagons or the AccuQuilt GO! A Plexiglass Hexagon Template is included with this pattern. For beginning quilters, we like Barb Sackel’s delightful wall hanging called “String of Beads.” Switch out the fabrics with holiday colors and prints to create a nice tablerunner. This pattern is also compatible with the AccuQuilt GO! Fabric Cutter and uses applique techniques. 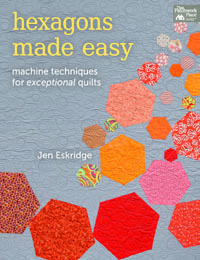 In her new book, Hexagons Made Easy (Martingale Press), quilt designer Jen Eskridge offers tips and techniques to make a variety of projects incorporating Hexagons. The popular site, Pinterest, is loaded with colorful images of all kinds of hexagons including project ideas and technique tutorials. 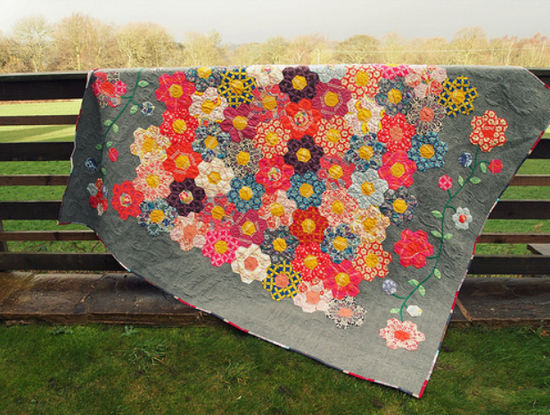 We would love to feature your hexagon inspired projects here at the QuiltWoman.com blog. Leave us a comment telling us about your latest Hexagon project. This entry was posted in AccuQuilt GO!, Designers, patterns, QuiltWoman, Uncategorized and tagged AccuQuilt GO!, Barb Sackel, Eleanor Burns, Hexagons, Honeycomb quilt pattern, QuiltWoman.com, string of beads. Bookmark the permalink. Can I purchase the pattern for the hexagon quilt pictured in this blog article or is it in one of the referenced materials?